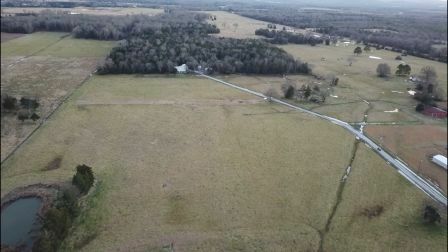 Lowery Farms is located about 4 miles west of Moulton in Northwest Alabama. Our mission is to raise high quality grass fed, all natural Angus beef, free of growth hormones and harmful chemicals, for our customers. Serving Huntsville, Birmingham, Decatur, Athens, Florence, Muscle Shoals, Cullman and, in general, North Alabama. We have 70 acres on which our livestock have ready access to fertilized pastures during the growing season. In the fall and winter, when natural forages are limited, we feed hay from our own farm, kept dry in our barn. The cows are led to graze in different pastures to provide the freshest grass available and fresh water. We don't feed any growth hormones, antibiotics or animal by-products. We believe they should be cared for to the best of our abilities and allowed to graze freely. As the natural instinct for cows is to form a herd and act as a herd, we use that instinct in their care. Immediate attention is given to diagnosis and prevention of any potential health issues.